DB Sports Tours were delighted with the culmination of The Summer Cup 2018 following last weekend’s action at the VEC Sports Complex in Terenure, Dublin. Over 100 teams from the whole island of Ireland took part in the second weekend of action (Aug 4-6) with 36 teams taking part in the prior weekend of Summer Cup 2018. The Summer Cup prides itself on being an all-inclusive youth football tournament: for boys of all abilities, and teams from both the Republic of Ireland and also Northern Ireland. Although Dublin-based sides were the big winners, there were winners from teams from Northern Ireland too. To ensure teams of all abilities can take part in this prestigious youth soccer tournament, teams will compete in either the Cup, or the Shield. In the Cup for each age group there were winners from household youth football names such as St. Kevin’s Boys FC, St. Joseph’s Boys AFC, and Shamrock Rovers. In full, the winners of the under-8 Cup were Shamrock Rovers, who overcame the test of Belvedere in stunning fashion, winning 7-3 on the day. In the under-8 Shield meanwhile Magherafelt Sky Blues were the victors, as the Co. Derry based side beat Kells Blackwater 3-1. Next up was the under-9 Cup which saw Shamrock Rovers taste victory once again, beating St. Kevin’s Boys 4-2 following an intense and even affair. In the under-9 Shield Magherafelt Sky Blues overcame the test of local outfit Terenure Rangers in an end-to-end game, winning 3-2. Next up was the under-10 section where St. Joseph’s Boys AFC beat Shamrock Rovers in the Cup with a comprehensive 2-0 victory. Elsewhere, the under-10 Shield was an all-Dublin encounter between Lucan United and Corduff FC, in which Lucan ended the victors, beating their opponents in another 2-0 win. In the under-11 Cup the ever-prestigious St. Kevin’s Boys FC were too much for Shamrock Rovers, with a 5-0 win over the Hoops. In the under-11 Shield Cabinteely FC ran out victorious on the day, beating Home Farm. In the under-12 Cup St. Kevin’s Boys beat their local rivals Tolka Rovers 4-1. And finally, in the Shield it was Cabinteely again tasting victory over Palmerstown with the former winning 3-1. Next year however, we are already looking forward to planning and adding a girls section to the Summer Cup in 2019. 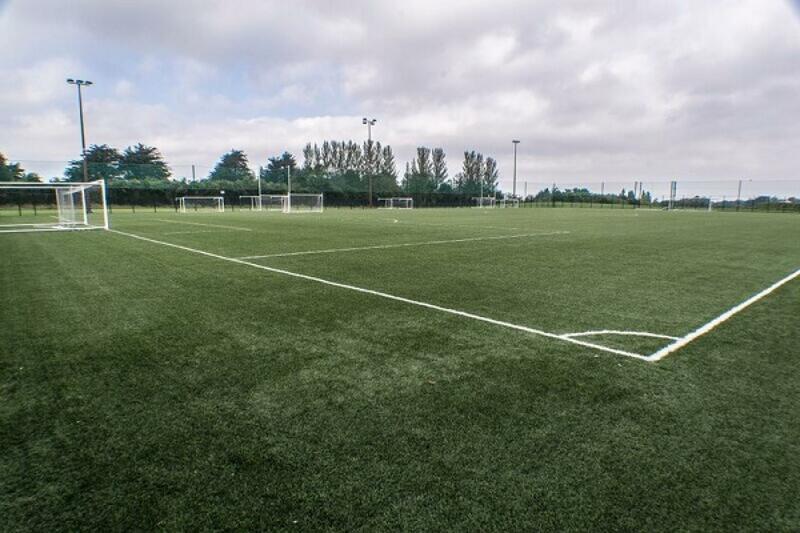 DB Sports Tours Staff member Paul O’Brien spoke exclusively to our blog, reflecting upon the two weeks of action for the Summer Cup 2018 at Terenure’s VEC Sports Complex, saying: “Both Weekends were fantastic and to see so many teams from all over the Country compete against each-other was a brilliant sight, Some of the football played over the 4 days was breath-taking and we really do have some bright prospects on our hands”. If you would like to book your team into the Summer Cup 2019, or any such youth football tournaments, we are already taking names and making preparation, so you can contact our office by clicking the following link. Finally, while you’re here, why not check out the rest of our regularly updated blog here.